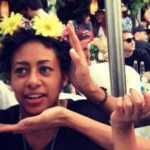 Rawiya Kameir is a contributing writer at Complex. Reputation management services have been popping up left and right over the past few years. But a new one, aptly called Social Sweepster, specifically targets people who are looking to scrub their social media presences during a job hunt. The service goes through users&apos; Facebook and Twitter accounts and flags posts and photos that it thinks might make them unappealing to prospective employers. Unlike some of its competitors, which are restricted to analyzing text posts, Social Sweepster uses photo recognition software to scan images for objectionable content, like beer cans or red Solo cups. Once the offending images are identified, it&apos;s up to the user to determine whether to untag themselves or to request that a friend delete the photo entirely. Social Sweepster scans as far back as 2005, and allows users to search the past few months of their activity for free. Digging deeper into the past will require payment.